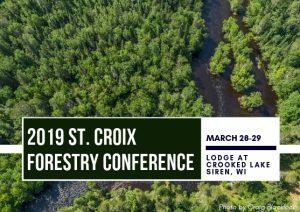 Join us for our annual St. Croix Forestry Conference and learn about the challenges, successes, and future directions of forest management in the St. Croix River watershed. This year’s conference will explore topics such as invasive species management, silvicultural practices for wildlife, management practices to improve and protect water quality, and much more! New this year, optional half-day field workshops will also be offered the following day to delve into some hands-on training and to experience the forests of the St. Croix watershed. NEW THIS YEAR: Optional Half-Day Field Workshops will be offered on Friday March 29, 2019, following the full day conference. 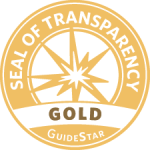 Continuing Education Credits are available for both the Conference and Half-Day Field Workshops. Local, state, federal and private foresters in Wisconsin and Minnesota, land managers, and other natural resource professionals and landowners interested in forest management and maintaining healthy forests for healthy watersheds. Conference Volunteers can register for a reduced cost of $25 for the Full Conference Package. Volunteer assignments are limited. If you would like to volunteer, please contact Nicole Butler at nicoleb@scramail.com or (715) 483 – 3300 no later than Thursday January 31, 2019. Volunteer assignments will be given on a first-come basis. A limited number of rooms have been blocked at the Lodge at Crooked Lake from Wednesday March 27, 2019 – Friday March 29, 2019. Please contact the hotel directly to book one of these rooms. Please indicate that you are attending the conference at the time of booking to receive a blocked room.